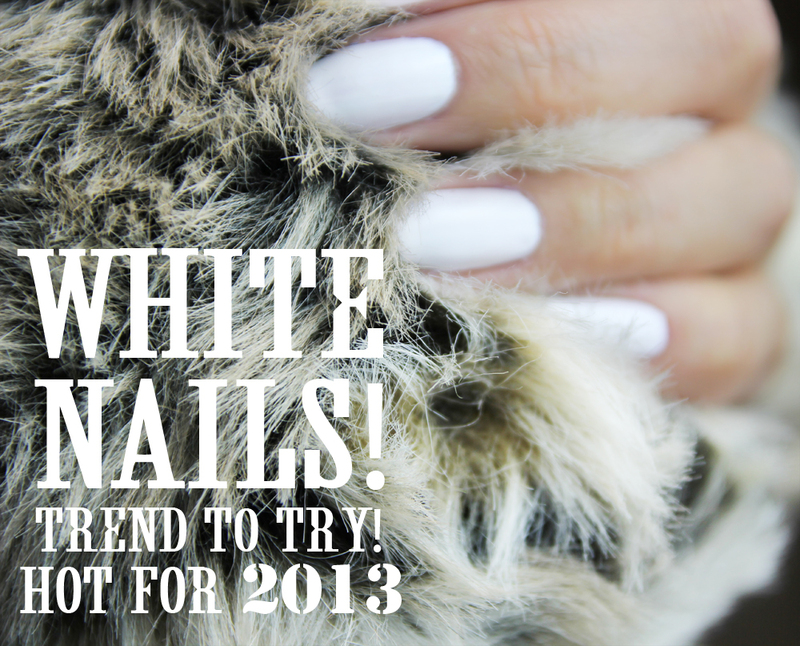 OLD POST: With it finally being Summer and since white nail polish seem to be all the craze right now, I thought I’d share this post with you again. 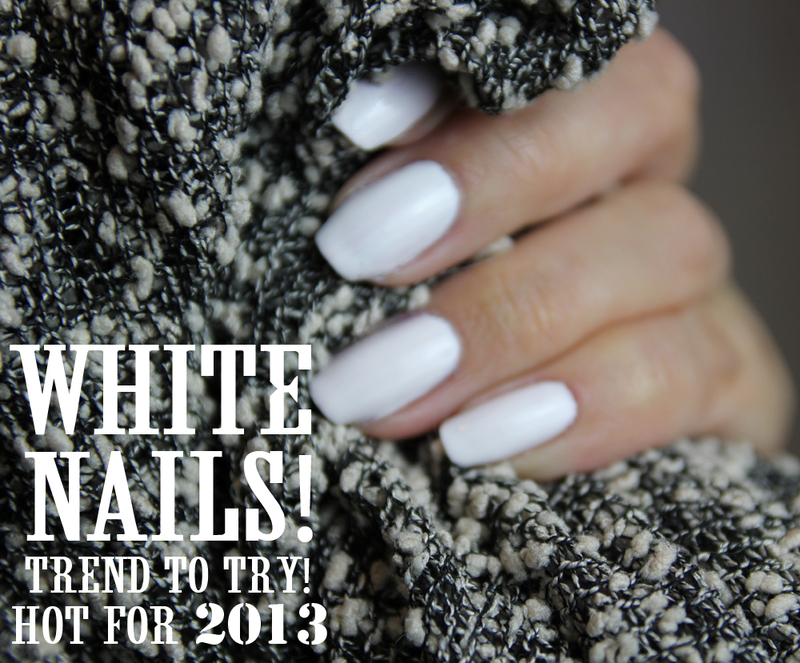 Pale nails is looking set to be one of Springs Hot New Beauty Trends to try! I love the simple yet high impact look of white polish however it is not the easiest shade to apply or wear! If not applied carefully it could end up looking like streaky Tippex which isn’t exactly attractive hehe. I used Nails inc Nail Polish in Floral Street which is a true white. It did take about 3 thin coats to achieve the opaque finish I wanted. Once dried I applied a coat of Kensington Caviar Top Coat to even out any streaks and to give it a glossy finish. The slight pink tone in this top coat also softened the white so it looked less harsh against my skin tone! I think this look is best worn on shorter nails though so I definitely could do with a little trim for next time! If you are going to attempt white polish then I recommend starting with ridge free nails to minimise streaking! Try using a nail buffer on the nails to smooth out the surface first, or use a ridge filler like Mavala Ridgefiller so that the nails don’t end up looking bumpy and uneven when you apply your polish! Always finish with a glossy topcoat to smooth over the polish and give your nails a flawless finish! So what do you think? Would you be giving this look a go? Let me know if you do! Tags: 2013, Floral Street, Kensington Caviar Top Coat, Mavala Ridge filler, Nail Art, Nail Polish, Nails, Nails Inc, Spring Beauty Trends, SS13, White nail polish. Bookmark the permalink.